Will Switzerland give every adult a basic income of $2,500 a month? Will Switzerland give every adult $2,500 a month? Switzerland is considering giving every adult citizen a guaranteed income of $2,500 a month. No questions asked. The country is holding a national referendum on the introduction of a basic income on June 5. Its supporters want the government to guarantee each person a monthly after-tax income of at least 2,500 Swiss francs ($2,520). Those in work and earning less than that would have their pay topped up. Those out of work would be handed the full amount. The income would be unconditional and untaxed, and would replace various welfare payments. The Swiss government, which opposes the initiative, says it would have to find 25 billion Swiss francs a year to pay for the measure. New taxes, or spending cuts, would damage the economy, it says. Proponents of the universal income say Switzerland is a rich country that can afford it. They say that hundreds of thousands of Swiss people are at risk of losing their jobs because of advances in technology, and the introduction of a basic income would give them greater security. The basic income campaigners say it would boost enterpreneurship. Unlike many countries, Switzerland does not have a national minimum wage. 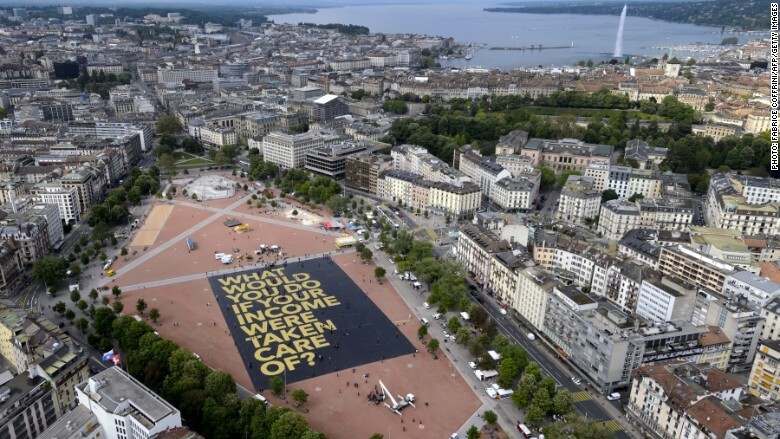 Opinion polls suggest only 40% of Swiss voters will back the basic income. And even if it gets majority support, the suggested rate of 2,500 Swiss francs would be only marginally higher than the estimated poverty line (2,219 francs) and far short of the median wage before tax (6,427 francs). The vast majority of Swiss people say they'd continue working even if the basic income becomes reality. Research by DemoSCOPE said only 10% of voters people said they would consider quitting their job. Related: What if you never had to worry about rent or food? Just over half said they would take advantage of the income to spend more time with their families and study, with 40% saying they would volunteer more. The Swiss debate started in 2013, when a petition in favor of the initiative gathered over 100,000 signatures, the number needed for it to be debated nationally. In order to force a change in the law, the initiative needs to be approved by a majority of the electorate and the country's 26 cantons, or districts. 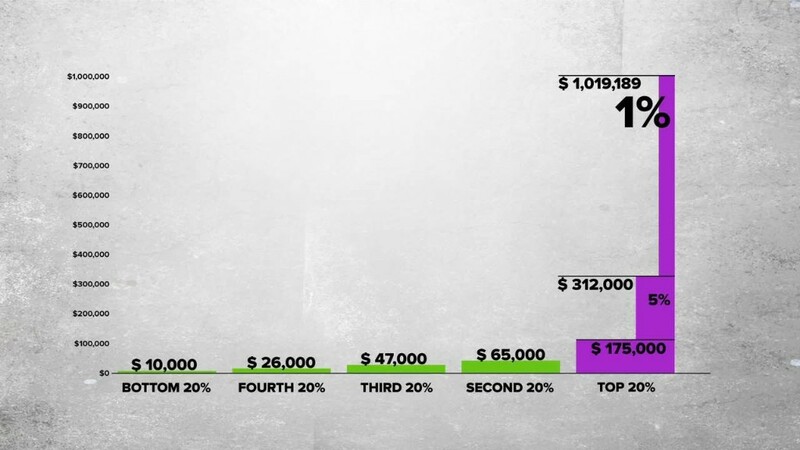 Share your story: Have you gotten a raise lately? Tell us about it! Switzerland is not the first country to come up with the idea of basic income. Finland is considering scrapping all welfare benefits and paying everyone $10,000 a year instead. A pilot program will launch early next year, with roughly 10,000 Finns receiving around 550 euros a month for two years.